In the first part of this episode, author of the Medieval Cop/Dregg Morriss VasantJ saga left us hanging on all the important questions. 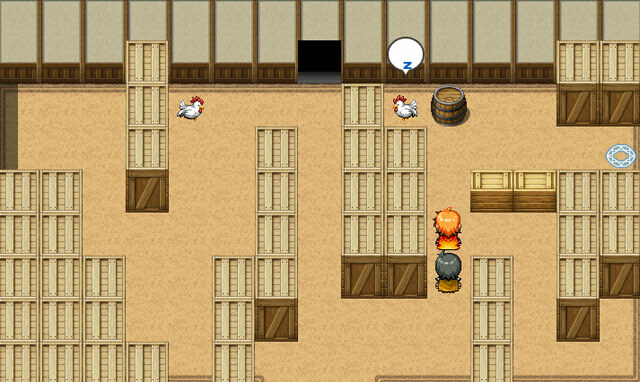 Questions such as: how will Amber Heart and her friend Mel Vin ever escape the fowl play at the hands of the chickens? How do you launch a sneak attack if your friend insists on screaming upon entry? What awful puns will they have to endure this time? Note: Before playing this game, you may wish to check out the previous episodes in Medieval Angel series, as well as Part 1. 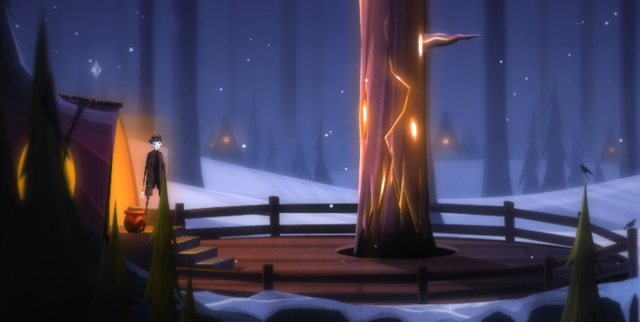 Warning: If you haven't played Part 1, this review may contain plot spoilers. Proceed at your own risk! Step right up, ladies and gentlemen, boys and girls! 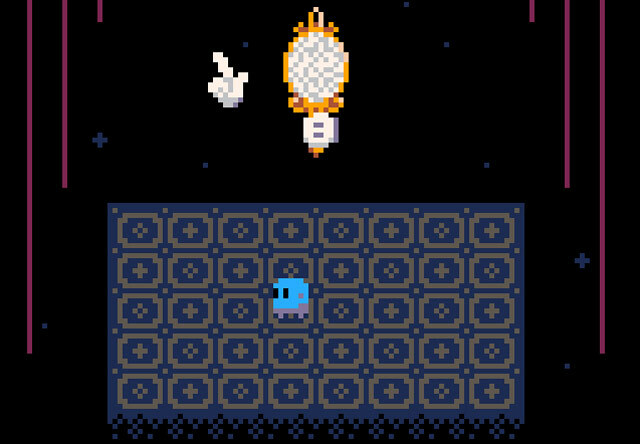 You're on a small 5x8 platform and a magical mirror has appeared, beckoning you to battle. Your opponent fancies himself as a magician, no wait, the ringmaster of the show. 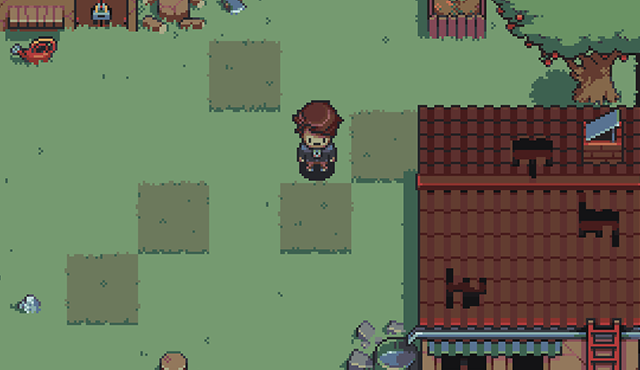 He's got all sorts of tricks up his sleeve as well - he can make flowers spring up on random tiles. Remember that saying about every rose having a thorn? There are going to be plenty in your side if you don't manage to dodge the spots. Next, pick a card, any card-ouch! Don't let their sharp corners stab you and deplete your health. Finally, he'll flip coins down onto your arena, limiting your already cramped space further. You are exactly what Chaos City needs but does not deserve - not a hero, but a villain! A few months ago, we released a review for a prototype of a new series that author Vasantj was developing, Anti-Villain. After being dumped by his girlfriend upon acceptance into the prestigious Hero Institute, the main (anti-) hero Rory sets off on his very own quest to become a Supervillain. 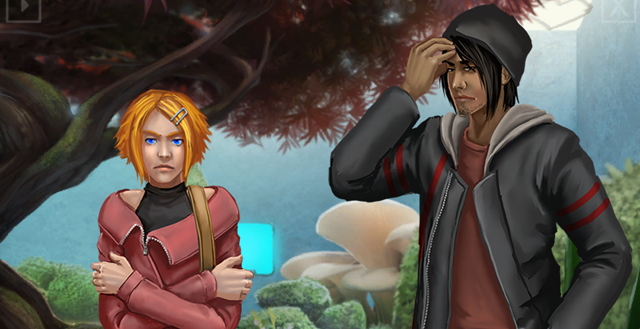 Rory soon learns, though, that underhanded tricks abound in their ranks. In Anti-Villian 1, you are assigned missions you must complete in exchange for glorious fame...or at least, a bit of pocket money. 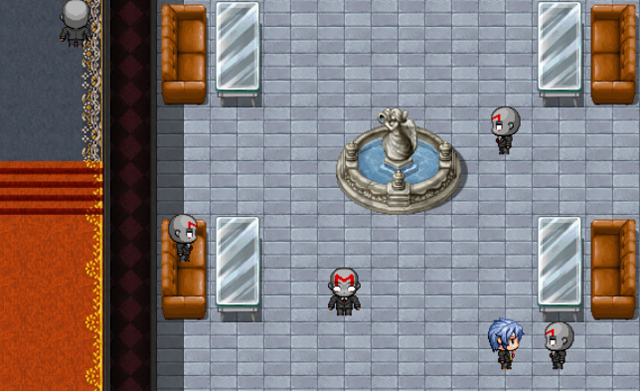 This episode takes on more of an RPG feel with a lobby base where all you and your fellow baddies can hang out. In addition to the mission board where you can choose to accept assignments, there is a ring where you can bet your in-game money on one of two fighters, a hospital where you can pay for healing (what? You didn't expect it to be free, did you? ), and a store offering upgrades to Rory's skills and abilities - if you can afford them, that is. You'll need to throw everything you got at times, fighting through hoards of - you guessed it - baddies who think they can cut you loose and make off with all the loot and credit themselves! In the previous part of this episode, our slightly sadistic hero Dregg Moriss found out that he was, well, dead. And not only that, but he was stuck between a melted rock and a very hot place - it turns out he has gone to hell. However, Dregg is not happy to resign himself to this conclusion, and demands a way out. He was consequently awarded a Court Case, a type of trial, set up by the Devil, but before they can really get going, they were rudely interrupted. When the author kills off a main character (spoiler alert! ), it is typically not a move endorsed or adored by their fans. But despite VasantJ's Medieval Cop series being constructed from RPGMaker's layout, typically is the one adjective that this very series defies, the latest installment making no exception. 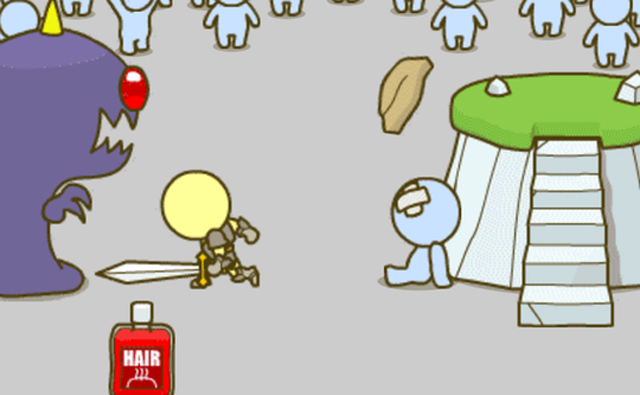 But before I delve further into the world of these very odd kingdoms, a slightly obvious disclaimer: this game has many parts, and if you've never heard of it or it has been a while, you may wish to play the previous ones first. We reviewed the previous game in the series, Medieval Cop 7 - Adam and Eva here on JiG, and you can find more details and links to play the other games on VasantJ's Patreon page here. After strange events force you into a couple weeks' absence from New Heart High School in Toyko, you decide it is time to head back to school and try to get life back in order. 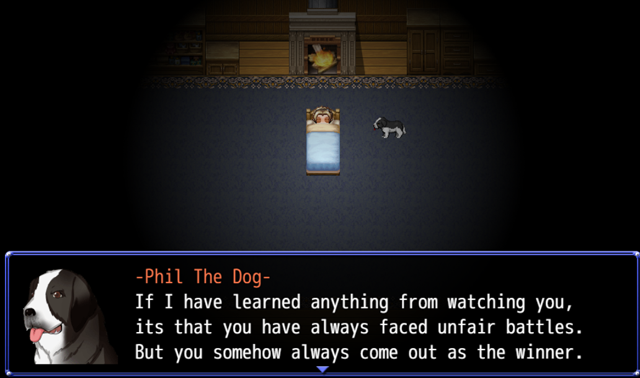 But when you haven't gone so far as just outside of your house and your best friend Melanie since middle school seems to be shyly hiding a dark secret from you, you start to wonder if something has gone horribly astray. It doesn't help matters when a shape with glaring red eyes suddenly appears in the gloomy dark sky behind her, then vanishes just as quickly. At first you dismiss it as an artefact of your sleep-deprived consciousness, but upon a second encounter you begin to wonder if it might be a harbinger of things to come. What do you do when you find out courtesy of a note that your girlfriend has been accepted into the Hero Institute and broken up with you? Move heaven and Earth to try and impress her? Try to get into the Hero Institute yourself to win her heart back? It turns out the answer is far less chivalrous - the answer involves V not for Vendetta but Villain! Becoming a regular villain isn't enough though - your ambition is to be a Super Villain. Turns out, though, there is a little more to the process than meets the eye. Even the bad guys are no match for the bureaucratic red tape, and well, things are off to a bad start when you are robbed of your money before you can even submit your villain application. But never fear, the bad guys are here, and you soon make your way through and team up to serve as backup for a robbery. But beware, the job may not be as easy as it sounds. The Big Old Tree that Dreams came into our lives a few years ago, unfolding the fantastic universe of the Forest Bed, and telling the story of one character, Myosotis, The Trader of Stories. With Bell's Heart it got our curiosity, giving us a great and unique adventure. With A Grain Of Truth it got our attention, giving us some crumbs about that universe, and creating questions that should be answered. 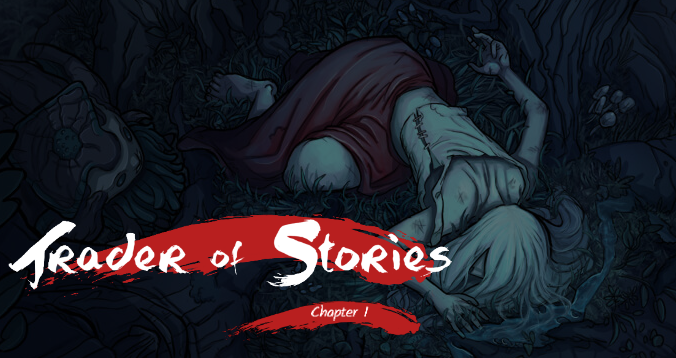 And now the Rudowski brothers brought up a new game that might answer some questions, this time unraveling the story of The Trader of Stories herself from its very beginning.